Well, the narrative was set by the news media. The early voting for Texas Democrats is sky high. The enthusiasm is high. Texas could turn blue in the Trump era. Well, almost all of that was false. This is a mythical unicorn the Democrats keep chasing, turning Texas Blue and once again they were met with disappointment. Now, for Republicans, they’ve been trying to nab Pennsylvania since 1988, which was finally done under Donald J. Trump. Republicans broke their own record for midterm turnout, with over 1.5 million casting ballots in the GOP gubernatorial primary. Well, while the Democrats dominate the cities (shocker! ), their strength in rural America remains absolute trash. “Yet even as Democrats in the state’s biggest cities came out in large numbers, Republicans still cast more ballots over all thanks to their rural strength,” reportedThe New York Times. The 2018 midterms kicked off in eye-opening fashion in Texas on Tuesday, as a series of surprises in Democratic House primaries jolted the landscape while the party’s large turnout sent a warning to Republicans nationwide. But the GOP remained in the driver’s seat in statewide races throughout Texas by night’s end, leaving most of the shocks to down-ballot races. Washington Democrats saw some of their runoff plans go down the drain. Well-funded candidates fell in contest after contest. George P. Bush unexpectedly cruised to victory. And women kept on winning. The Democratic civil war that erupted in the Texas primaries will continue as Laura Moser, a progressive insurgent, claimed the number two spot in the race for the Texas 7th congressional district, triggering a runoff and keeping that wound between establishment and progressives open. A crowded Democratic House primary in the Houston area has become a stand-in for the broader battle within the party between progressives who backed Bernie Sanders and members of the establishment. The controversy erupted more than a week ago, when the Democratic Congressional Campaign Committee, the party’s political arm for House races, unleashed a scathing attack against journalist and activist Laura Moser, one of seven candidates in the Texas 7th District Democratic primary to take on Republican Rep. John Culberson this fall. Central to the DCCC's case against Moser is a 2014 Washingtonian article in which she wrote that she'd "sooner have my teeth pulled out without anesthesia" than live in Paris, Texas. The committee feared the article was ready-made for scathing attack ads casting Moser as a DC-loving, Texas-loathing carpetbagger -- the kind that her campaign might never be able to overcome. Attorney Lizzie Pannill Fletcher, nonprofit executive Alex Triantaphyllis and oncologist Jason Westin are others seen as leading candidates. "Democratic voters need to hear that Laura Moser is not going to change Washington. She is a Washington insider, who begrudgingly moved to Houston to run for Congress," the DCCC said on its website as it posted a bundle of research critical of Moser. But progressive activists were incensed to see the DCCC -- which has long been accused of recruiting too many moderate, milquetoast candidates and weighing fundraising potential too heavily in deciding who to back -- weigh in with such a heavy hand less than three weeks from the March 6 contest. The Democratic Congressional Campaign Committee waded into the seven-way primary for Texas’ seventh congressional district last month with a specific goal in mind: delivering a knockout blow to Laura Moser, a freelance writer and Resistance activist with a large national following, who it feared would crater the party’s chances in the closely watched swing district. But the DCCC’s attacks on Moser 10 days before the primary—a broadside so clumsy and transparent it drew criticism from DNC chair Tom Perez and members of Congress—didn’t work as intended. Moser raised $87,000 in the days after the DCCC nuclear barrage and basked in the free publicity during the homestretch of the campaign. And on Tuesday, she secured a spot in the May 22nd runoff against Lizzie Fletcher, a Houston lawyer backed by EMILY’s List who led the field in the first round of voting. Now Democrats in the seventh district, a longtime Republican stronghold that swung harder to Hillary Clinton than any other district in the country in 2016, will be faced with an unusual choice: a progressive candidate denounced by the official campaign organ of the House Democratic caucus, or a more moderate candidate rejected by the AFL-CIO. This infighting among Democrats in competitive races is what very well could derail their 2018 plans. With TX-7, it’s a total split among the base concerning the Democratic candidates and the organizations that have endorsed them. 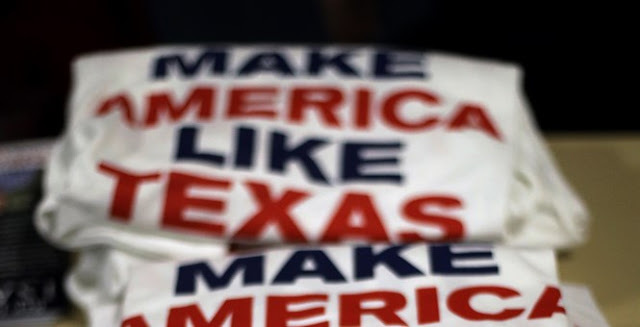 To throw more cold water on Democratic hopes in Texas was Cook Political Report’s David Wasserman who noted the party’s improvement in midterm years, but added that the GOP still runs the table, with “lots of DCCC-favored scenarios not panning out." And what about Rep. Beto O’Rourke, who is looking to unseat incumbent Republican Ted Cruz? Yeah, he won his primary—but he’s not going to win if he barely gets above 30 percent in the rural areas. Texans also voted in primaries for state races, including governor and the state legislature. Republican Sen. Ted Cruz is also up for re-election and won the GOP nomination with no serious primary opposition. Democratic Rep. Beto O’Rourke won his party’s nomination to run against Mr. Cruz in what is shaping up as an unusually competitive race. Although Mr. O’Rourke’s victory was solid, early returns showed his support was weak in the rural areas where he has campaigned aggressively in his effort to appear in every one of the state’s 254 counties. While Mr. Cruz won his party’s nomination by a resounding margin, Mr. O’Rourke lost almost 40% of the Democratic primary vote to two little-known, poorly funded opponents. Maybe the early voting number isn’t the best gauge for measuring real, actual turnout. There is no doubt that the shifting demographics could make Texas a more competitive state, which should keep Republicans up at night, but for this cycle—the Democratic wave hopes in Texas is all hype.